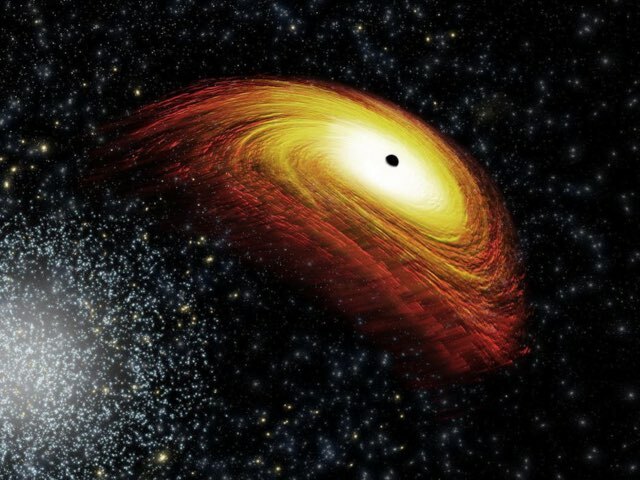 The pic above is an artist’s rendering, which until recently, was the only way we could see an image of a black hole. If for some reason you didn’t believe that black holes really exist then you will now. 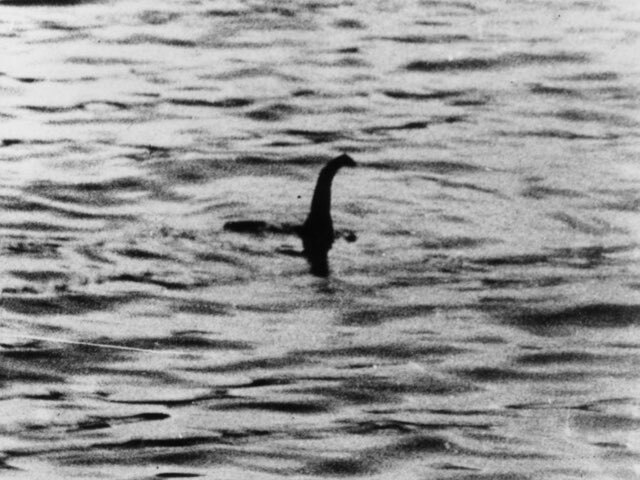 For the first time in history, through the work of more than 200 scientists, an image has been captured of a black hole. 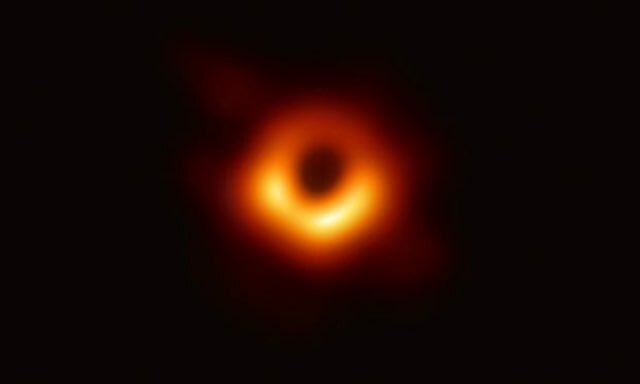 This out-of-this-world image was captured by the Event Horizon Telescope (EHT), a network of eight radio telescopes spanning locations from Antarctica to Spain and Chile. 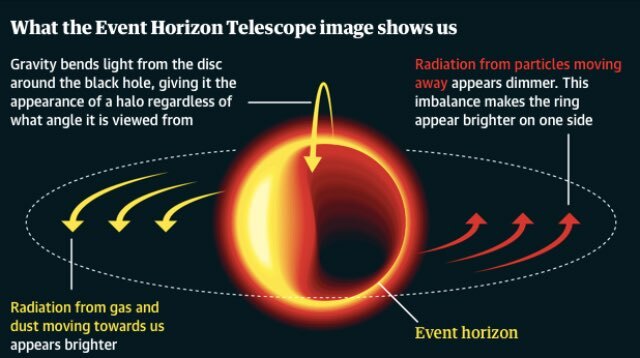 The Guardian reports that the halo that can be seen in the image is made up of dust and gas tracing the outline of a colossal black hole, at the heart of the Messier 87 galaxy. The black hole is approximately 55m light years from Earth. Einstein was the first to predict that there might be black holes in space with his theory of relativity. Now, before you go and get your telescope out, these crazy little holes are not visible with just any telescope. In fact, you need a telescope that is so powerful it would be able to spot a slice of pizza on the moon. 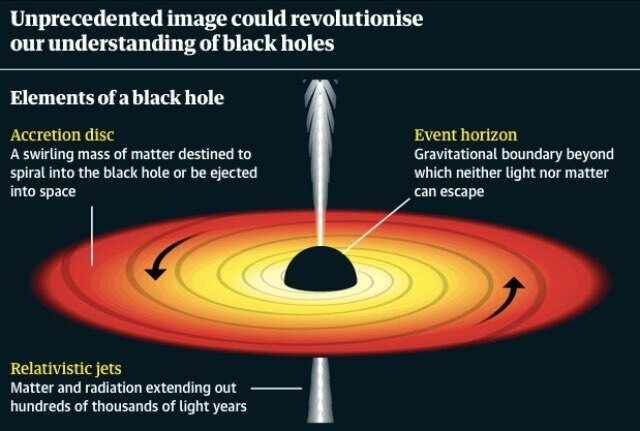 You can read more about the science behind the black hole here.